Your IP address displays directly below your domain name. 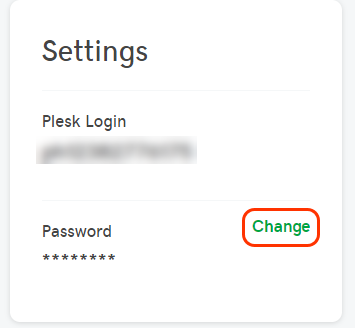 Your FTP username (Plesk Login) and password display on the right side of the page, under Settings. To change you password, click Change, enter your new password and click Change Password. Note: Changing your FTP username or password will process within a few minutes.